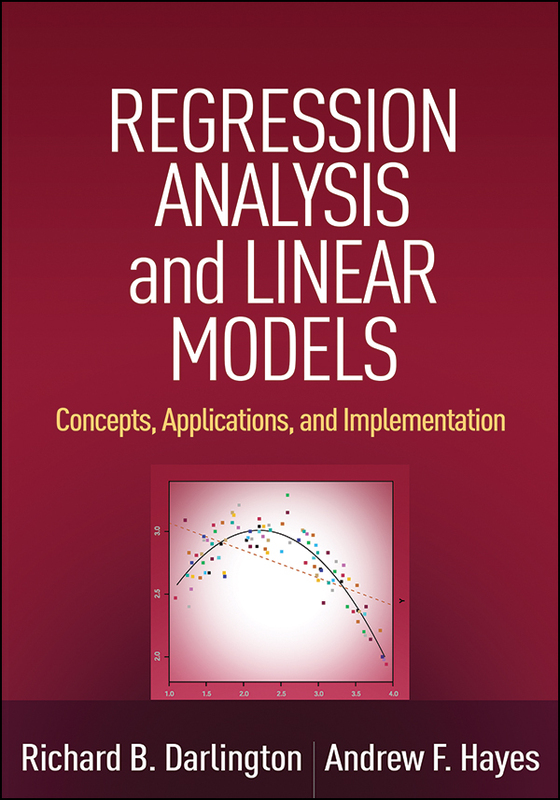 Emphasizing conceptual understanding over mathematics, this user-friendly text introduces linear regression analysis to students and researchers across the social, behavioral, consumer, and health sciences. Coverage includes model construction and estimation, quantification and measurement of multivariate and partial associations, statistical control, group comparisons, moderation analysis, mediation and path analysis, and regression diagnostics, among other important topics. Engaging worked-through examples demonstrate each technique, accompanied by helpful advice and cautions. The use of SPSS, SAS, and STATA is emphasized, with an appendix on regression analysis using R. The companion website (www.afhayes.com) provides datasets for the book's examples as well as the RLM macro for SPSS and SAS. Chapters include SPSS, SAS, or STATA code pertinent to the analyses described, with each distinctively formatted for easy identification. An appendix documents the RLM macro, which facilitates computations for estimating and probing interactions, dominance analysis, heteroscedasticity-consistent standard errors, and linear spline regression, among other analyses. Students are guided to practice what they learn in each chapter using datasets provided online. Addresses topics not usually covered, such as ways to measure a variable’s importance, coding systems for representing categorical variables, causation, and myths about testing interaction.